Newborns can bring so much joy and at the same time uncertainty to the family. Parents tend to worry and ask themselves so many questions about their new baby especially during the first weeks of their lives. So, today I want to share 3 tips with you which will help you to minimize concerns related to your baby’s sleep. 1. 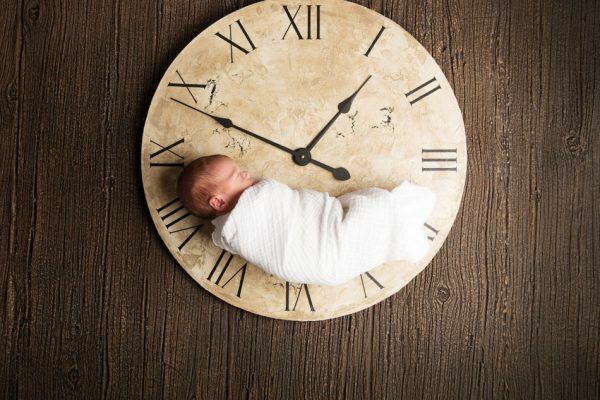 Do Not Exceed Newborn’s Time of Being Awake! You need to know that this cute newly baked baby just can’t stay awake for long. 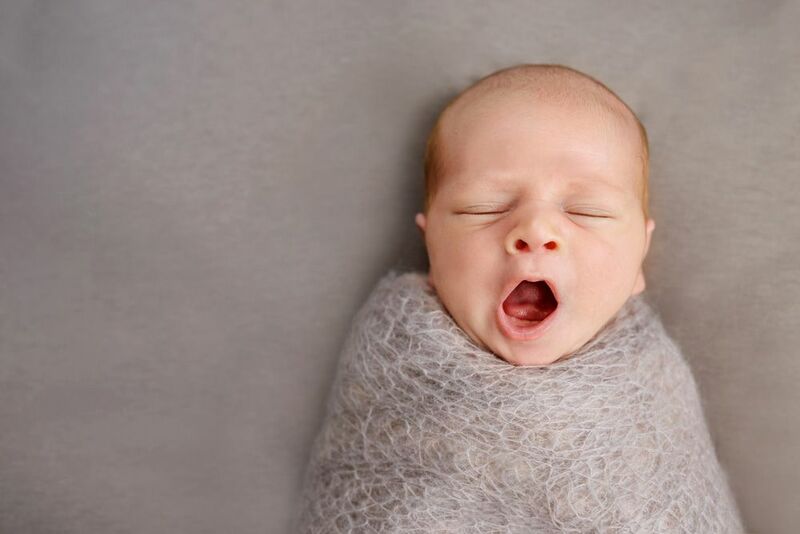 In fact, newborns can only tolerate around 45 minutes of being awake before they need to sleep again. I know you may get shocked because it’s such a short time interval. Normally, a feed takes around 25 minutes, then diaper change may take a few minutes as well. So, all you have left is probably 10 to 15 minutes time to enjoy with your little one. Don’t worry about this short time interval for now. As the baby grows, the length of awake time will increase as well. So, you still will have plenty of time to spend together in the future. Quite often I meet parents who wait until their little ones become fussy and irritated. When this happens, everyone suspects hunger in the first place. Indeed, a fussy baby usually looks like a hungry baby and this is why so many people get confused. Majority of parents end up feeding the baby for any given signal. The same happens when the baby is tired and shows signs of fussiness. So, what happens then is feeding starts to play a double function: feeding to sleep and feeding to eat. Mothers and fathers start to feed their babies not because of hunger, but in order to put them to sleep believing that this is the only way to put them down. Feeding to sleep becomes a sleep association and this is how some mothers are still feeding their babies in order to put them to sleep even when they are 1 year old. So, again, my advice to you is to watch the clock. If your little one is awake around 45 minutes or an hour and you see him getting agitated, fussy and upset, think about sleep first. 2. It’s not Always Your Duty to Put Your Baby to Sleep! Stop thinking that you are always the one who should make your son or daughter asleep! I wish someone had told me this when I struggled with my own son’s sleep. All I was doing was rocking, bouncing, feeding and walking with him just to make him asleep. Even when he fell asleep, I was still waiting for him to get into the deeper sleep so I could finally place him into his crib. Surprisingly, the idea just to place my son into his cot before he was fully asleep didn’t even cross my mind. Once we teach our child to rely on us, there is no room left to teach him or her to fall asleep independently. Once the expectations are set, it becomes extremely hard to break them. I am not saying that you can’t help your little one to start his sleep journey. Certainly, every newborn requires some assistance. But what I am trying to show is don’t teach your baby that it’s always your job to put him to sleep. So, what you can do is try at least once a day to give him the opportunity to fall asleep without assisting him. Make sure he had a good feed and some play time. Monitor the clock. When you see that it has been almost 45 minutes of him staying awake, try to place him in his bassinet and see what will happen. Please be aware that it will not always work, but at least some of the time it will. You will not need to do anything. You will be watching how your little one is figuring out on his own and start his sleep journey without any assistance. Learning to sleep independently is a skill which should be learned. So, be patient and always give him that chance to learn on his own. I have noticed that many parents keep the light on while their baby is sleeping. 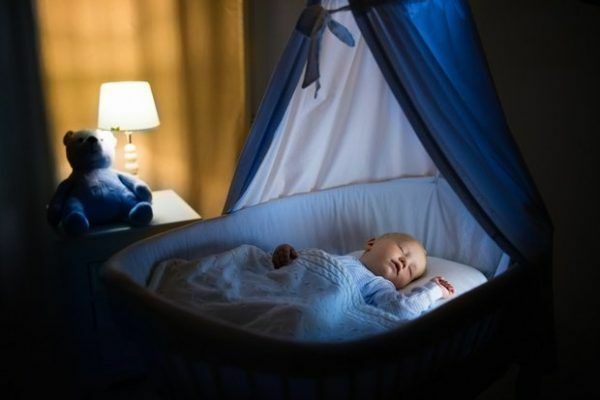 You have to know that the room should be completely dark if you want your baby to sleep well. Darkness increases sleep hormone – melatonin which will help your little one to fall asleep faster, sleep better and longer. 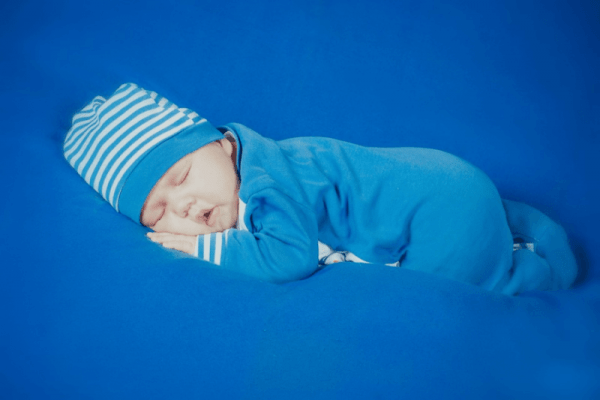 Normally newborns experience day and night confusion during their first weeks of life. The best way to overcome this confusion is to let your baby sleep in a very dark room and once awake to keep him in a bright room with curtains fully opened. You will also need to expose him to sunlight whenever possible. Babies can fully distinguish day from night once they are six to eight weeks old. However, if you start to expose your son to light now, he will develop this ability even faster. So, I suggest you dim the lights before your little one goes to sleep and then keep the room completely dark once you expect him to sleep. Keep the night light on during the night feeds and even if he is awake show him that it is still night. Talk quietly and very little. It’s not the time for playing. Once the morning approaches and he is awake, open the curtains and make the room bright. Try to expose him to sunlight whenever you can. I hope that these tips will help you to overcome some difficulties related to your newborn’s sleep. However, if you feel that you require some additional help, feel free to book 15 MIN FREE PHONE CONSULTATION with me. I would love to help you. I am using gentle sleep solutions which have already helped 55 000 parents like you! Do You Want Your Baby to Sleep Well?